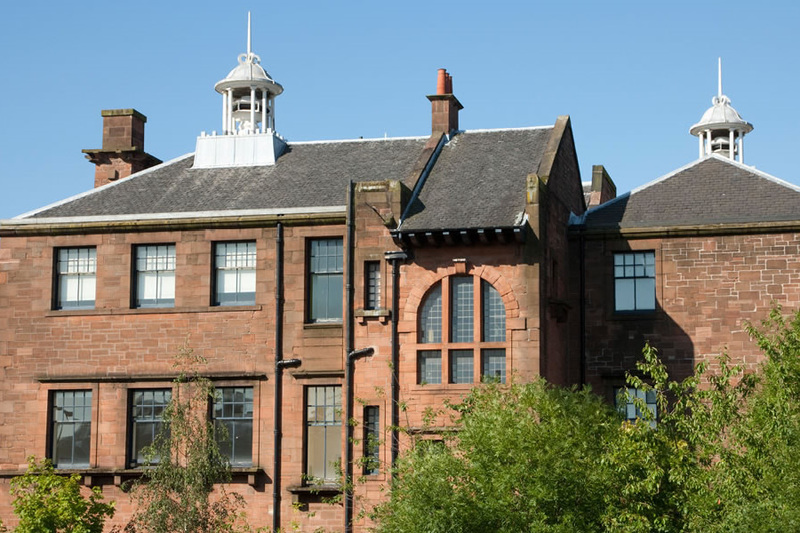 Martyrs' School was comissioned in 1895 and is built on the street where Charles Rennie Mackintosh was born. The school is clearly visible from the top of High Street. The solid red sandstone construction is topped by three ventilators with highly decorative finials. Inside there are lime-wash plaster walls and spectacular roof trusses. Nearby Pay and Display Parking. Currently not opened to the public. Martyrs' School is near to both Provand's Lordship and St Mungo Museum. Fifteen minutes' walk from High Street rail station. First Bus services 11, 36, 37, 38, 42, 89, and 138 all stop near the Royal Infirmary which is near Martyrs'.